Groucho Marx famously quipped “I don’t want to belong to any club that will accept people like me as a member.” Now, one such club is facing dissension in its ranks as an iconic member seems to be taking Groucho’s adage to heart. The Friar’s Club, legendary fraternal order of comics and comedians, tumlers and troublemakers, lost one of comedy’s reigning deans this week as Shecky Green tore up his membership card and left a Friar’s event in a huff… all over a dirty joke. 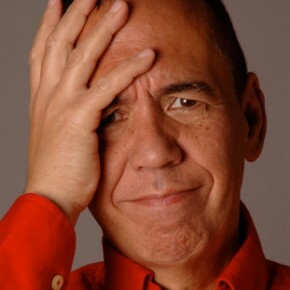 At an event honoring comedy stalwarts Freddy Roman and Stewie Stone, Shecky was so incised by a particularly filthy joke told by presenter Gilbert Gottfried that he threw in the towel on the evening, and possibly the Friar’s Club as a whole, publicly declaring his dissatisfaction with the Gottfried’s jape. …the joke he told was much much worse than the “Aristocrats,” a joke so filthy that a whole documentary was made about it. I can’t really reprint the joke here. It has to do with hemorrhoids. And something else. “People were throwing up, especially the older people,” says [Friedman’s] source. WTF Is Happening In This Israeli Airline Safety Video?